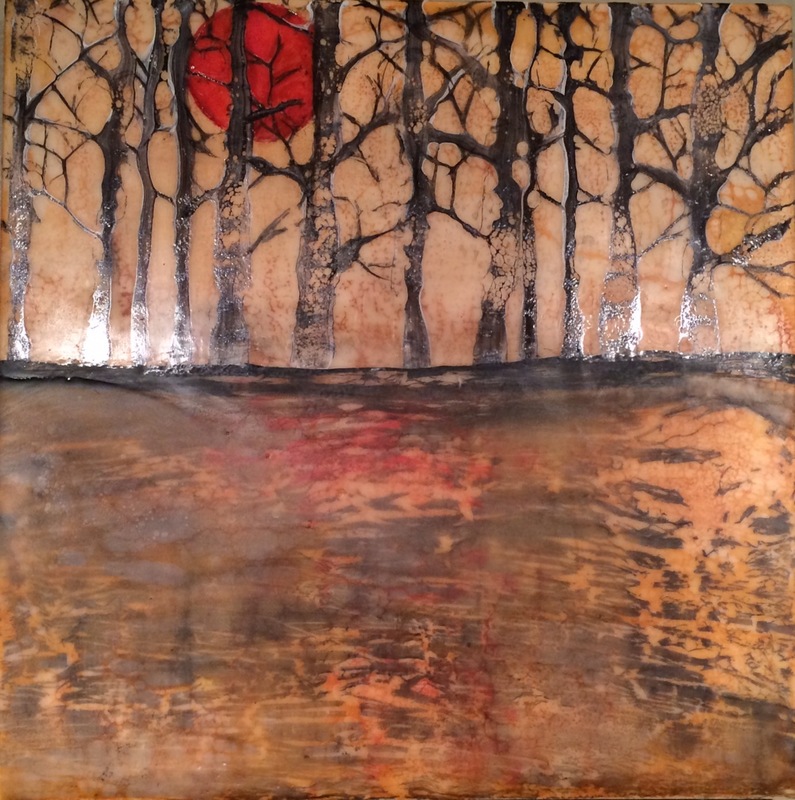 Ellen is an encaustic artist residing in West Seattle. 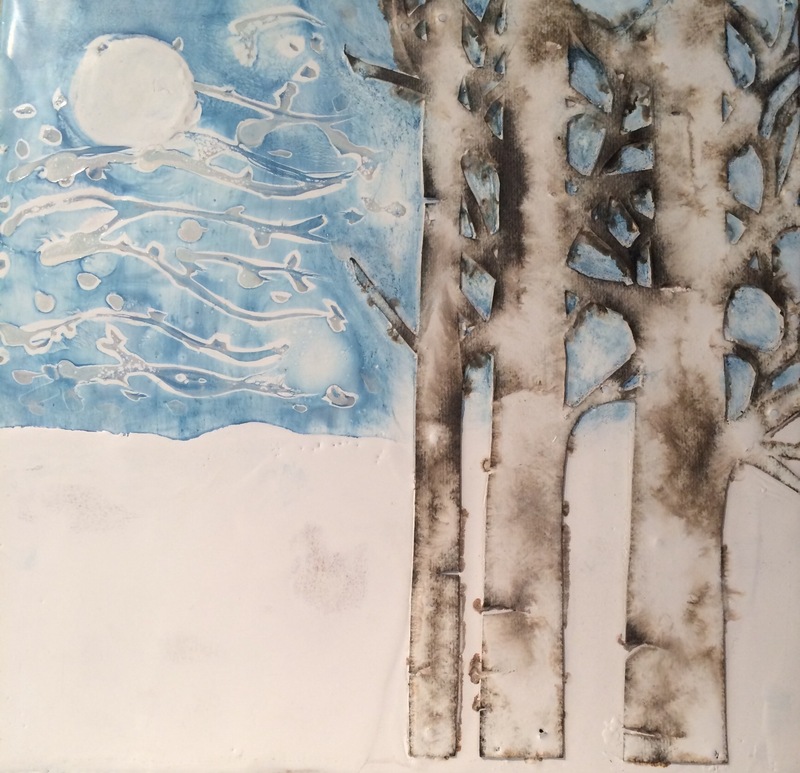 Her works are primarily mixed media—wax, shellac, inks, coffee stains, word glue, water color, and oils. She enjoys the process of using these media along with a butane torch to see what appears on wood surfaces. Elle also happens to be a long-time customer at the shop!